Comprising approximately 160 works, including loans from public and private collections in Europe and the United States, this multimedia exhibition will unite The City with other important paintings from this period by the French painter FERNAND LEGER (1881-1955), and with key works in film, theater design, graphic and advertising design, and architecture by the artist and his avant-garde colleagues, including Piet Mondrian, Theo van Doesburg, Cassandre, Amédée Ozenfant, Le Corbusier, Francis Picabia, Alexandra Exter, Gerald Murphy, and others. 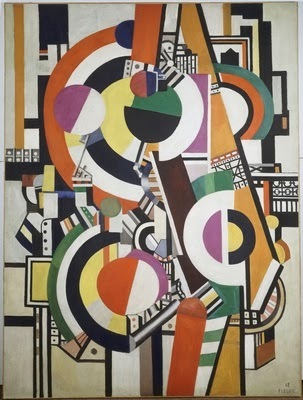 Returning to Paris after military service in World War I, Fernand Léger encountered a changed city, infused with a new boisterous energy that would inspire him to create one of his landmark achievements, the monumental painting The City (1919). The creation of this work signaled the beginning of the most experimental period in Léger’s work, lasting through the 1920s, when the artist challenged and redefined the practice of painting by bringing it into active engagement with the urban popular and commercial arts. 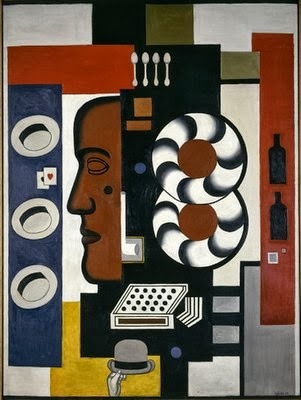 Léger: Modern Art and the Metropolis will examine the centrality of this masterpiece in Léger’s career and the European avant-garde in the years immediately after World War I. In the United States, the exhibition will be seen only in Philadelphia. Following its presentation at the Museum, it will travel to Venice where it will be on view at the Correr Museum, Piazza San Marco (a Fondazione Musei Civici di Venezia institution). The exhibition will be organized thematically to reflect the fertile relationships between painting and urban culture during this period. The first section of the exhibition will examine the notion of “publicity” and the excitement Léger felt for the evolving visual language of mass communication in the city: the bustle of billboards, traffic signs, and shop window displays. 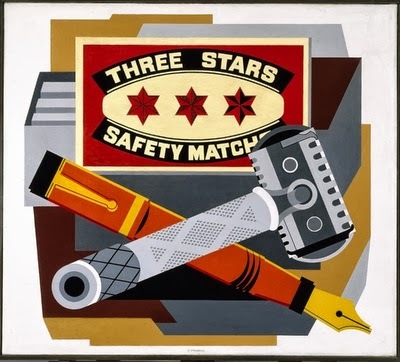 Léger’s paintings, his designs for advertising posters, and his print illustrations will be seen alongside work by other artists and designers, such as Gerald Murphy (photo), Cassandre, and Jean Carlu. 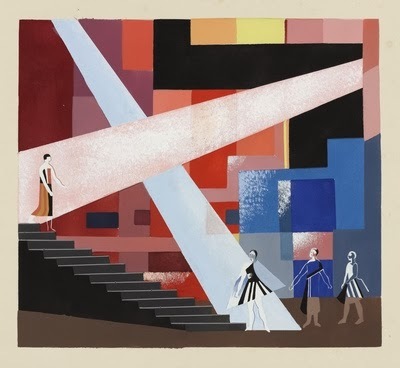 The exhibition will also explore Léger’s interest in public entertainment and staged performance, mainly the theater and cinema, highlighting the set and costume designs produced by Léger for film and ballet. This part of the exhibition will survey avant-garde activities around cinema and the stage and include works by Picabia, Alexandra Exter, Georgii Yakoulov, and others. The exhibition’s final section will address the theme of “space” by presenting the artist’s abstract mural compositions of the mid-1920s, intended as decorative architectural panels, in the context of the avant-garde’s exploration of integrating architectural and pictorial space. 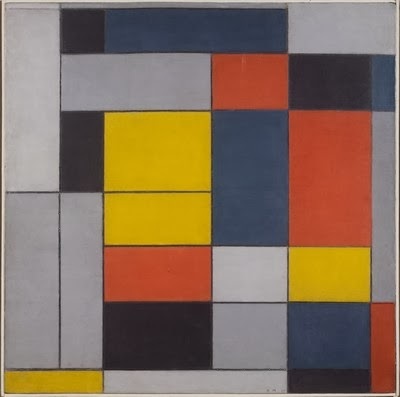 This section of the exhibition will include works by artists, architects, and designers such as Piet Mondrian (photo), van Doesburg, Robert Mallet-Stevens, Alexander Archipenko and Le Corbusier. The exhibition is accompanied by a catalogue published by the Philadelphia Museum of Art in collaboration with Yale University Press. Featuring essays by scholars of art, architecture, and film history, a selection of historical texts by Léger and other avant-garde figures not previously published in English, and more than 250 full-color illustrations, the catalogue conveys the experimental spirit of the 1920s.